A harassed Kashmiri migrant Davinder Singh Wazir has urged the Delhi Police to file a First Information Report (FIR) against the DPS Housing Society MC members. 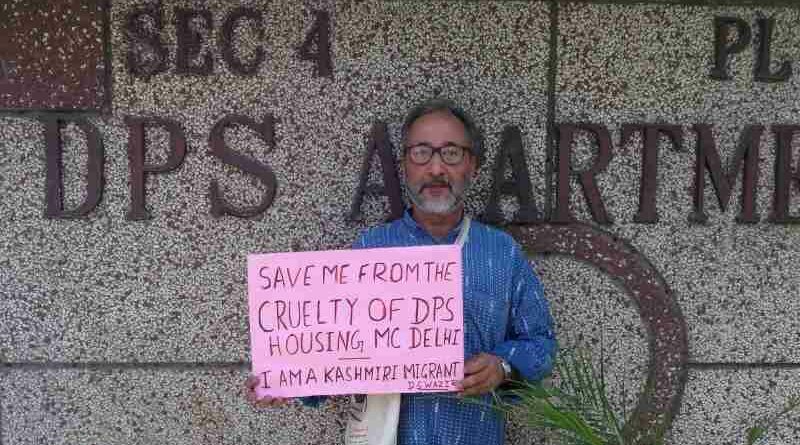 A Kashmiri migrant at DPS Cooperative Group Housing Society at Sector 4, Dwarka, New Delhi says he is being constantly harassed by the managing committee (MC) of the Society. Davinder Singh Wazir, who is a migrant from troubled Kashmir and currently lives at DPS Housing Society, has alleged that the MC members of the Society have been inflicting mental torture on him with their threatening communications. According to him, the misbehaviour of the MC members towards him amounts to gross human rights violations. 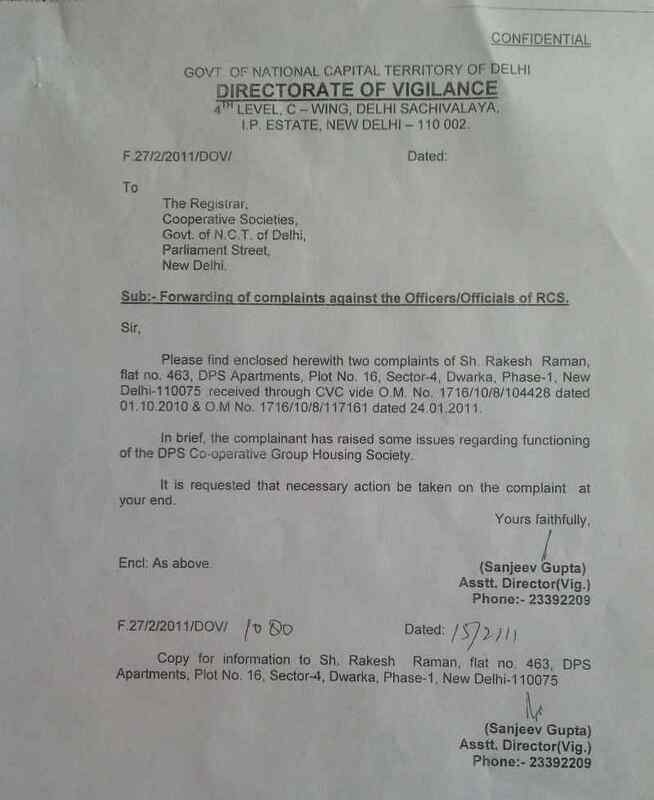 In his complaint to the Delhi Police, the National Human Rights Commission (NHRC), and other government departments, Wazir has urged the police to file a First Information Report (FIR) against the DPS Housing Society MC members, including Neeraj Vaish, R. Bala Subramanian, M.N. Sampathkumar, Ms. Leela Swami, Sandeep Taneja, Manguram Tyagi, and Ms. Naseem Afshaque. Wazir alleges that the MC members hate him and treat him like an untouchable refugee because he belongs to the Kashmir region. He also said in his complaint that the MC members also have attacked his freedom of expression and speech, as he has been opposing the malpractices of the MC members. 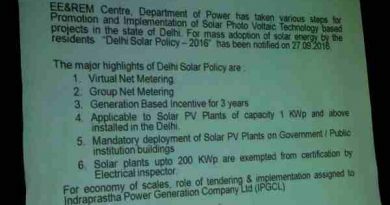 In his recent letter dated May 3, 2017, the Secretary of the DPS Housing Society M.N. Sampathkumar has even labeled Wazir as an anti-national using a very insulting language against him. Sampathkumar also has threatened Wazir to throw him out of the Society after canceling his membership. Obviously, Wazir is worried. In his complaint to the police, Wazir said now he is so disturbed by the incessant threats from the MC members of the DPS Housing Society that he feels scared to even move freely in the city for the fear that they might even get him physically attacked. Wazir reveals that he belongs to the family of Wazir Sobha Ram who was the Prime Minister with the Jammu & Kashmir king Maharaja Hari Singh. Wazir Sobha Ram was his great grandfather. Also, his grandfather Wazir Tej Ram – who was Wazir in Jammu & Kashmir – was also co-founder and Treasurer of Jammu & Kashmir Bank. “If the people in Delhi such as the MC members of DPS Housing Society can behave badly with me, you can imagine the state of other common people under their tyranny,” Wazir laments. 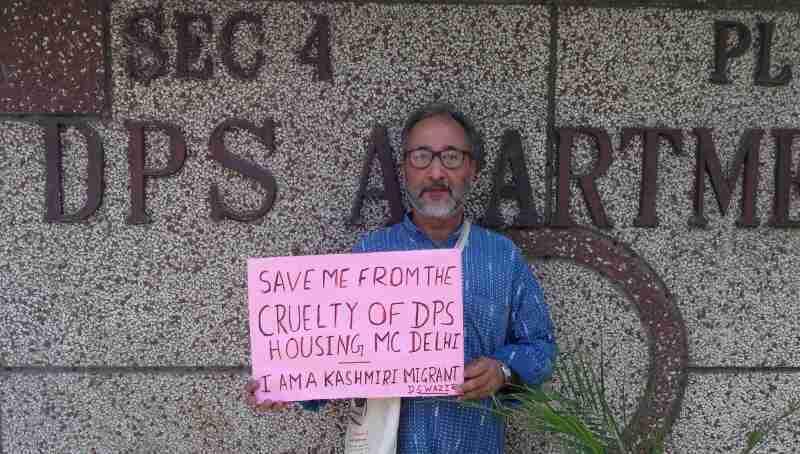 But why are the MC members of DPS Housing Society harassing Wazir? Most know that the corruption is so rampant in the DPS Housing Society that the office bearers of successive MCs threaten all those who raise their voice vociferously against the shady dealings in the Society. 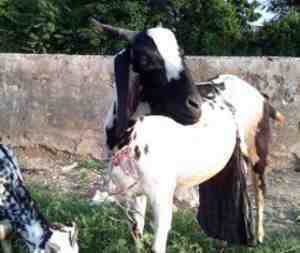 Wazir is one of the victims. As the office bearers of different MCs of DPS Housing Society want to hide the ongoing corruption by them, they intimidate all those who raise their voice against them. 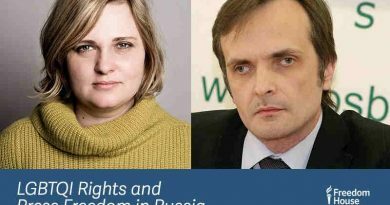 Last year, for example, the President of the Society M.M. Shukla threatened the residents by saying that if they opposed him, they will meet the fate of Kanhaiya Kumar, a student of Jawaharlal Nehru University (JNU) who was beaten up by goons. Shukla’s hostile behaviour virtually goes to the extent of violence. Although his background is not quite clear, Shukla claims that he belonged to the army and gives the impression to innocent people that he can terrorize them with his belligerent actions. Earlier, Shukla had even threatened a woman member / senior citizen of the Society by using abusive language against her because she has been questioning the MC’s foul practices. The case was reported to the government and law-enforcement agencies to take action against Shukla. After that Shukla decided to resign sheepishly from the MC of the Society. But many believe that he is still the mastermind behind all the trouble that is persisting in the Society. 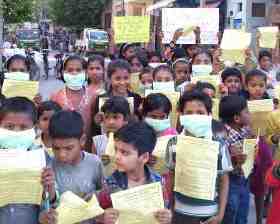 Shukla’s very presence in the Society is supposed to be a threat to the peace and tranquility of the atmosphere, as he has wedged a divide between the residents. His repeated threats to the respectful residents included police complaints and legal cases against them. 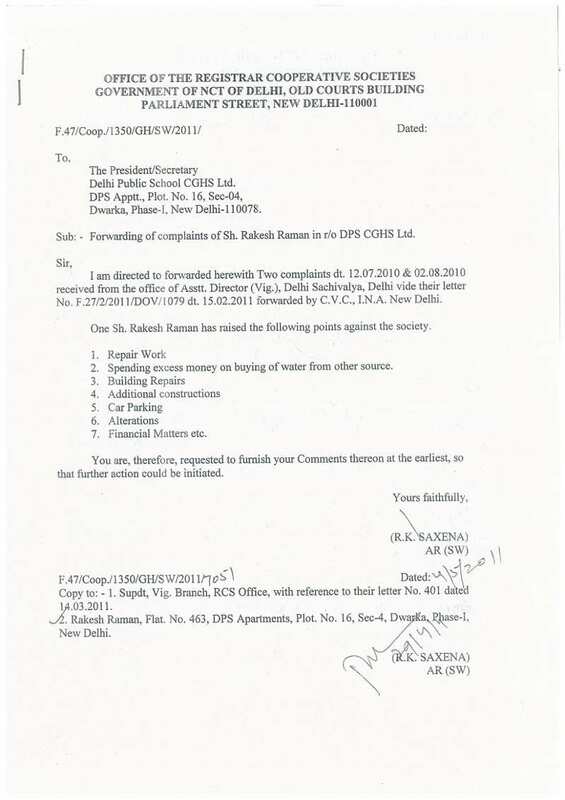 Now some of the the residents are planning to complain against Shukla to the Ministry of Defence, assuming that he actually worked with the Indian army. Many believe that his membership must be cancelled and he should be expelled from the Society in order to restore normalcy at DPS Housing Society. As these MC members are forcefully trying to suppress all dissenting voices, they pose a serious threat to the democratic principles on which the cooperative societies are formed. So residents argue that MC members have no right to continue in their positions as the office bearers. 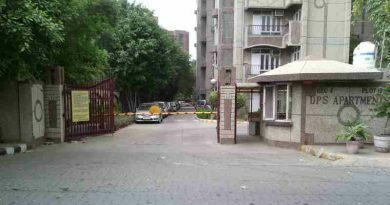 This is one of the reasons that the residents have asked the government to suspend the MC of DPS Housing Society and appoint a government administrator to handle the Society’s work. It is required to protect the residents including the Kashmiri migrant Wazir from the atrocities of the MC members. It is largely believed that if Kashmiri migrants like Wazir are persecuted, it will jeopardise Indian government’s efforts to restore normalcy in the troubled state. In order to avoid that fateful situation, the government must catch and punish the culprits who antagonize the Kashmiri migrants. A thorough investigation into the DPS Housing Society case will be a right step for the government to show its benevolence towards Kashmiri migrants. Disclosure: I have written this report not only as a journalist, but also as a victim of the fraud and intimidation happening at DPS Housing Society. I am facing repeated threats from the MC members and their supporters because I am raising my voice against corruption, environmental damage, and human rights violations. By Rakesh Raman, who is a government’s National award-winning journalist and runs free school for deserving children under his NGO – RMN Foundation.